Please contact the parish office (office@stelizabethchurchmd.org) if you are interested in becoming a Core Team/Adult Volunteer for Sunday night youth groups. 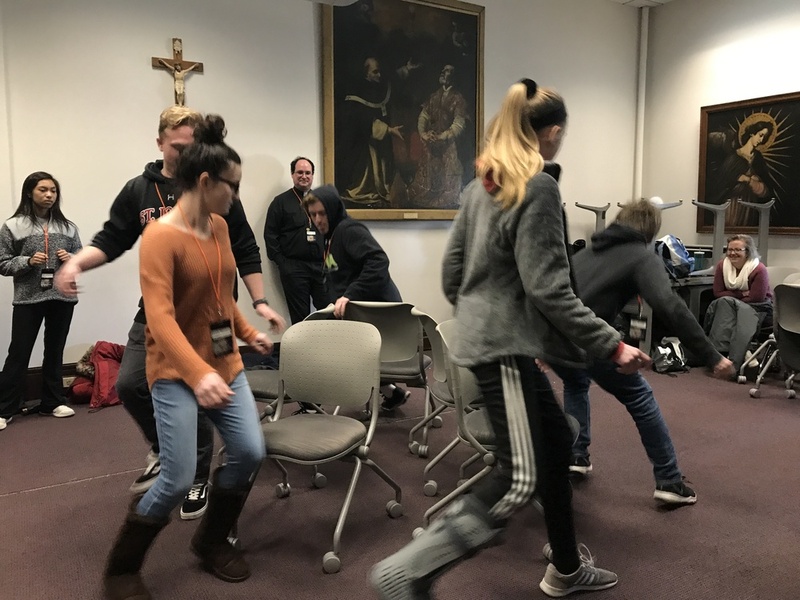 If you have not yet completed the VIRTUS training, please contact Carmen Boston for information on how to do so (cboston@stelizabethchurchmd.org). Current eighth-grade students through seniors in high school interested in joining our Youth Choir or Band for the 6 pm. Life Teen Mass please email the parish office. We would love to have you join us! Particular needs right now are those who play piano, guitar, bass, and drums. For more information please, contact the parish office (301.881.1380 / office@stelizabethchurchmd.org). High School Youth and their families are encouraged to attend our Sunday 6 pm Youth Masses every week! For more information please, contact the parish office (301) 881-1380 or click here.